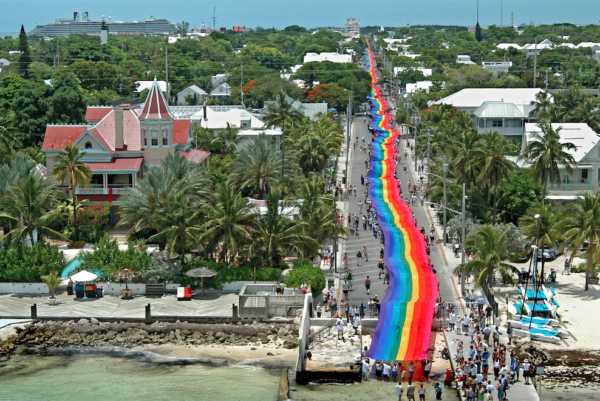 Gilbert Baker’s Rainbow Flag masterpiece that stretched for 1.25 miles in Key West’s Pride Parade in 2003 is sailing its way to PTown in time for the Annual Carnival. 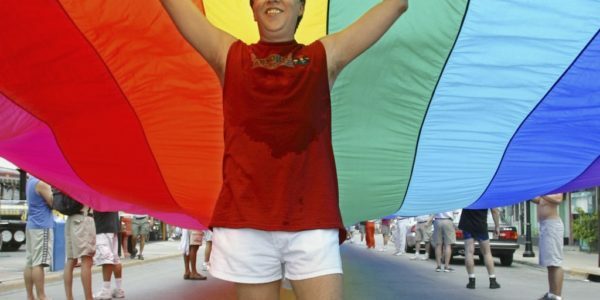 After the world’s longest rainbow flag was unfurled to celebrate the flag’s 25th anniversary it was then divided into sections and sent to cities across the country. Now the Provincetown Business Guild have joined forces with Vacaya a new LGBTQ Cruise Comapny to bring as many of those sections to town when their inaugural cruise sails from NY to PTown. The idea is to reassemble them on the beach in Provincetown on August 15, 2019 in a special event that will kick off the town’s 41st annual Carnival celebration.